Nigeria traditions are the best in the world which foreigners always inspires to imitate. Aynaijang blog CEO is proud of it! 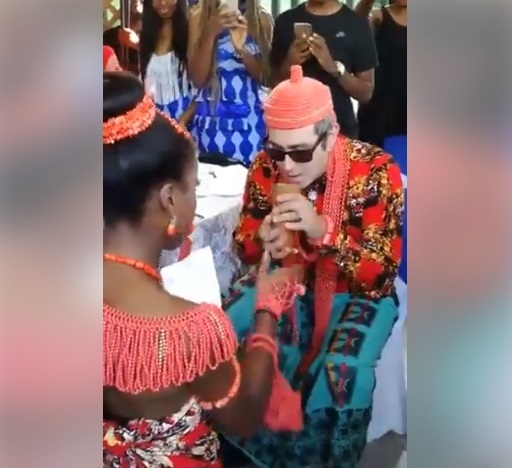 A Nigerian woman has represented her people well during her colourful wedding to her white lover in faraway Rome. 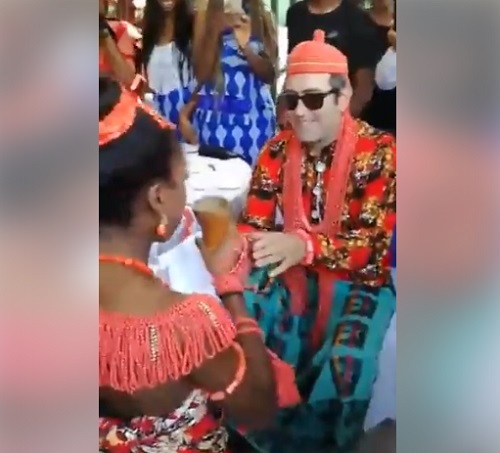 Dressed in Igbo traditional attire, she took palmwine to her husband - which is a traditional requirement, to the admiration of the whites and blacks present at the ceremony. It was gathered that the even took place on Sunday, September 9th. HML!